During the early stages of the Second World War the US Army called for a new light tank which would replace the rapidly aging M5 Stuart. Specifications for the new vehicle demanded that it was to be armed with a 75mm gun, that the weight would not exceed 20 tonnes and that it was to use the same powertrain as the M5. Work on a new project, designated T24, started in April 1943 and a wooden mock-up was ready in May 1943. 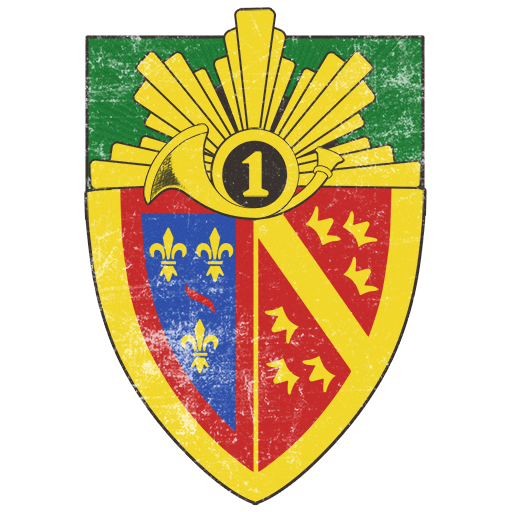 After approval from the US Army, production of two prototypes was ordered. The new vehicle made a good initial impression and the Ordnance Committee ordered serial production of 1000 vehicles under the designation “M24 Chaffee”, in honour of Lieutenant General Adna R. Chaffee Jr. Two plants were given the order for the production of the Chaffee – the Cadillac plant and the Massey-Harris plant. Both of these were, however, still manufacturing the M5 Stuart tank in 1943 and only after the phasing out of the M5 from production in 1944 did the serial production of the Chaffee begin. during the Battle of Dien Bien Phu. Deliveries of the Chaffee to operational units were scheduled in August 1944 but technical issues and confusion due to the Battle of the Bulge caused significant delays. 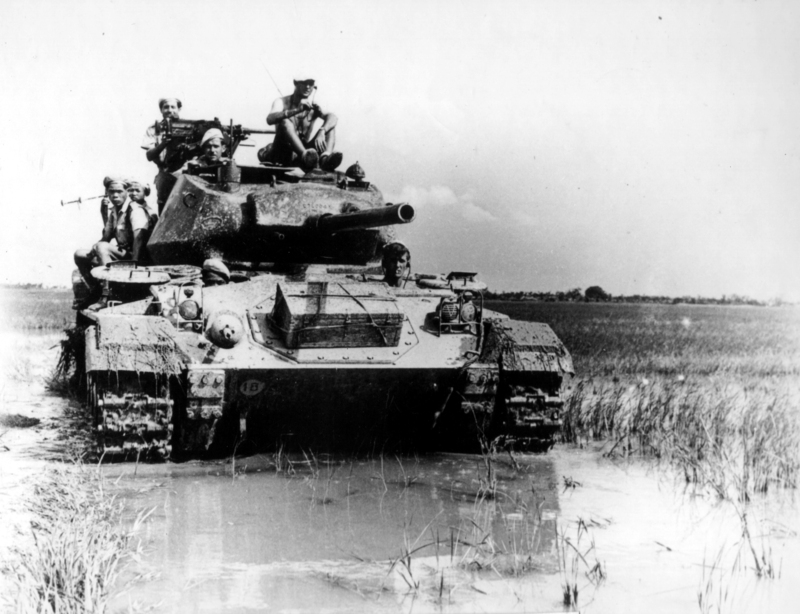 The first large deployment of the Chaffee thus occurred at the end of February 1945 during Operation Grenade. 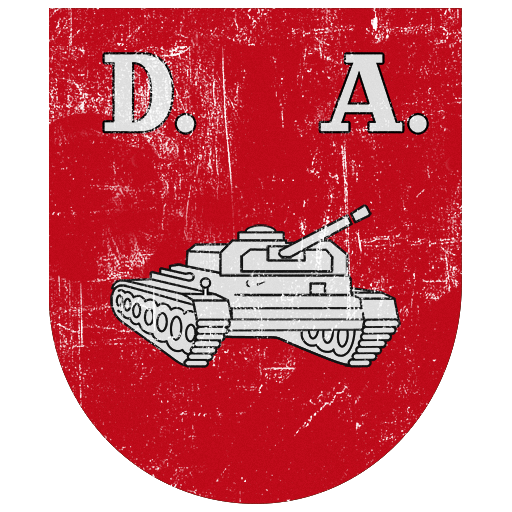 The tank was deployed in Italy as well, but until March 1945 only a limited number were available. As demanded, the Chaffee retained the powertrain from the M5 Stuart – two rear-mounted gasoline Cadillac Series 44T24 V8 engines, coupled together and producing a total power output of 220 horsepower at 3400 RPM, controlled via a 8-speed Hydra-matic automatic transmission. In contrast to the Stuart chassis, conceived in the 1930’s, the Chaffee received a new torsion bar suspension and wider tracks, both improving cross-country performance. The total weight reached 18.4 tonnes and while this fulfilled the request it placed restrictions on armour protection - the maximum thickness was 1.5 inch (~38 mm) on the turret front and gun mantlet. The frontal armour, albeit well sloped, was only 1 inch (~25.4 mm) thick. The Chaffee’s maximum speed was 35 mph (56.3 km/h) on the road and 17 mph (27.4 km/h) across terrain. The crew consisted of four men – commander, driver, gunner and loader (some sources mention a fifth crew member, stationed next to the driver’s seat and acting as a radioman/machine gunner). The primary armament consisted of a 75 mm M6 gun, placed in a three-man turret. This weapon, originally designed for use in the B-25H Mitchell medium bomber, was a significantly lighter version of the standard M3 gun used on the M4 Sherman (only 396 lbs or 180 kg of weight, compared to 884 lbs or 401 kg of the original weapon), and when using the M61 APCBC projectile with a muzzle velocity of 2030 feet per second (619 m/s), the gun was able to pierce 2.71 inch (69 mm) of armour at a range of 1500 feet (457 meters). As a secondary armament, two .30 (7.62 mm) M1919A4 machine guns were mounted – one coaxially to the gun, and one next to the driver. Additionally, one flexible .50 (12.7 mm) Browning M2 machine gun could be mounted on top of the turret. 48 rounds for the main gun and 3750 .30 rounds were carried, along with 440 .50 rounds. In service the Chaffee was well liked for its chassis, speed and cross-country ability, and found its niche as a reconnaissance tank – later, it was also used as a light infantry support vehicle. Due to its light armour it was at an obvious disadvantage when facing enemy tanks, but by this stage of the war encounters with German armour were rare. During one recorded incident, however, two M24’s from F Platoon, 4th Cavalry Regiment stumbled upon two Panthers at Domagen and before the Germans had time to react the Chaffees opened fire and dispatched both Panthers with flank shots. From 1944 to August 1945, 4731 Chaffees were manufactured, but only a small number were used in the Second World War due to slow deployment; they never fully replaced the existing M5 Stuarts. The M24 was eventually rushed back into frontline service during the Korean War, as Chaffees were the only armoured vehicle available when North Korea attacked. 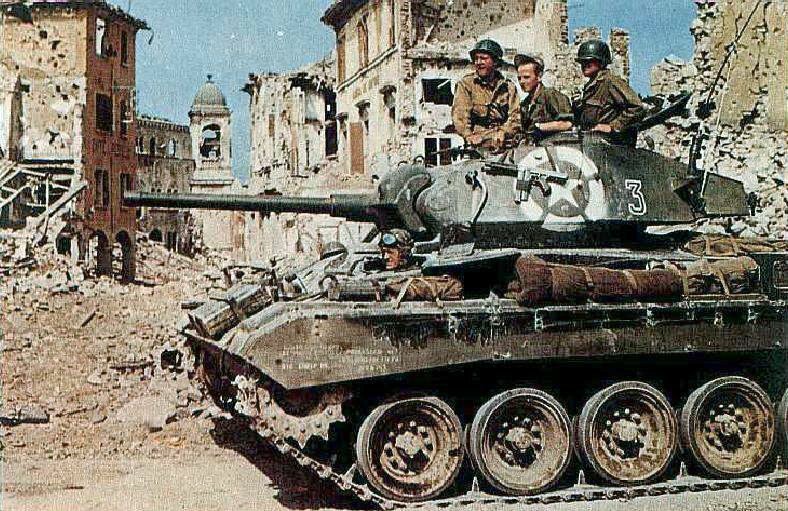 Against the vastly superior North Korean T-34-85 tanks, Chaffees suffered heavy losses until M4A3E8 and M26 Pershing tanks arrived to replace them. As the US career of the Chaffee was coming to its end, its foreign career was merely starting. More than 4000 M24’s were exported to 28 countries and used in a multitude of conflicts. The French used Chaffees at Dien Bien Phu, South Vietnamese M24’s fought during the Battle of Hue, and in the last recorded combat usage Pakistan deployed M24’s during the Indo-Pakistani war in 1971. Some armies kept their Chaffees well into the 1990’s and Uruguay have kept them in service until the present day, although in a modernised variant. On the M24’s chassis, multiple vehicles were also built – such as the M19 self-propelled anti-air gun, the M37 self-propelled howitzer and more, including modified foreign versions. In War Thunder, the M24 Chaffee is an American Rank III light tank with a BR of 3.7. Its top speed in the game is 25 mph (40 km/h), achieved in 18 seconds on a flat surface. Turret rotation speed is 18 degrees per second. The primary armament consists of a 75mm M6 gun, and its basic M72 AP ammunition can penetrate 3.46 inch (88 mm) of armour at point-blank range, and 2.4 inch (61 mm) at a range of 3280 feet (1000 meters), while with the improved M61 APCBC ammunition the gun is able to penetrate 3.66 inch (93 mm) of armour at point-blank, and 2.75 inch (70 mm) at 3280 feet (1000 meters). With a fully trained loader, reloading time is 7.9 seconds and the maximum ammunition capacity is 48 rounds. As a light tank it is obvious that the M24 cannot be used in head-on shootouts, as every gun at its rank is able to penetrate it with ease. However, it carries same gun as early Shermans and is able to destroy most of its opposition around that BR, and due to its speed and a low profile the M24 is well suited for flanking maneuvers and sudden ambushes. Race to a position, wait for slower enemies to ride into your sights, fire a few shots, relocate swiftly, rinse and repeat from different firing spots. Avoid being hit at all costs – the armour simply cannot protect you, and even HE shells can be lethal. 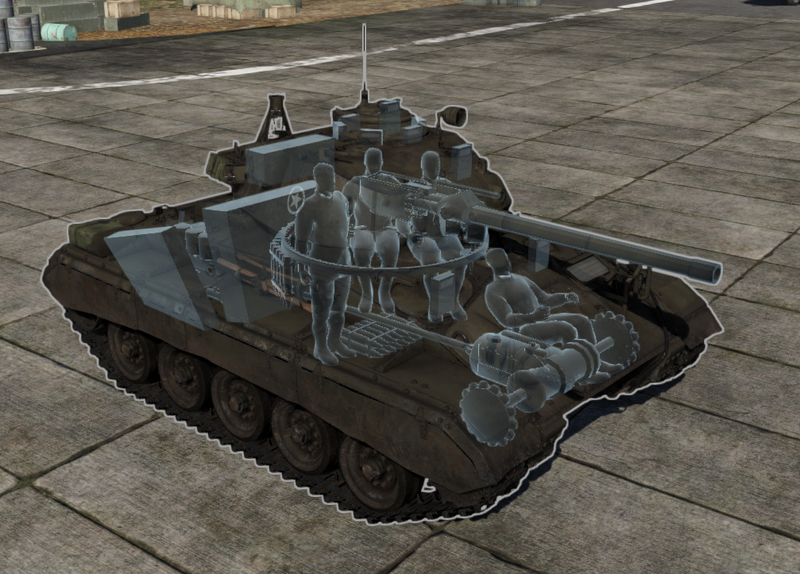 The Chaffee is also good when used to speed rush the capping points in Break mode, and when throwing the enemy off balance in Battle mode by encircling the map and capping the enemy base. Many teams have advanced valiantly when suddenly one or more Chaffees popped out of nowhere and started to cap, forcing the enemy team to hastily retreat, distracting them and allowing the rest of their own team to push forward. With thin armour but a good gun and impressive speed, the Chaffee is not a frontline brawler and requires more caution and different tactics to heavier tanks, but if you can master it you will have lots of fun with it. 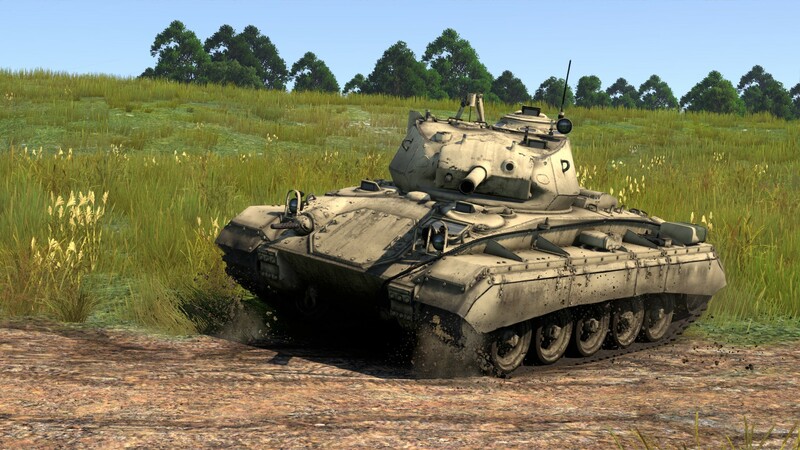 The Chaffee’s playstyle is then very similar to its successor in the American tech tree, the M41A1 Walker Bulldog – faster, more agile and armed with an extremely effective 76 mm gun, able to fire APDS ammunition.